Deep Roots Community Garden is located behind Cultivate Church on Evesham Road. The garden’s sign was hand painted and donated. There’s a lot more than vegetables growing at Deep Roots Community Garden. The large tract of land tucked behind Cultivate Church on Evesham Road blooms with the exchange of gardening wisdom and friendly banter, nurturing a sense of community since its inception nearly seven years ago. And that’s exactly what the garden’s founders envisioned. 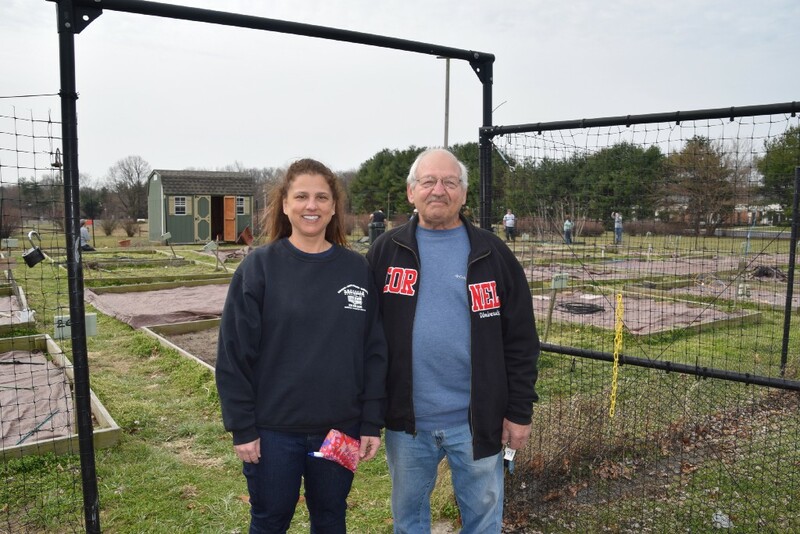 Tom, originally of Voorhees, and his wife, Beth, originally of Cherry Hill, first suggested the idea of a community garden in 2010, when members of the newly formed church were trying to decide what to do with the vacant property out back. The congregation embraced the idea, and the garden came to life the following spring. 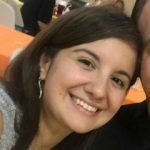 The name of Cultivate Church actually grew from the community garden concept and, although the church helps fund the garden and the founders are church members, it is not a part of the church. 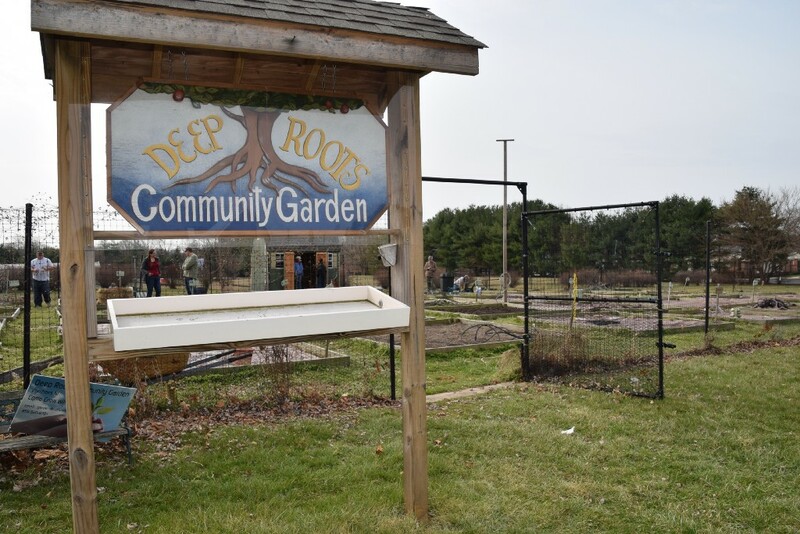 Deep Roots welcomes anyone who is interested in picking up a trowel and working some heart and soul into one of its 10-foot by 10-foot plots. The 32 plots — there are still eight available this year — are $20 each for the season. “We want them to have a sense of ownership by having at least a little bit of an investment,” Tom said. Opening day is around Mother’s Day, which falls on Sunday, May 14. Until then, gardeners will be preparing for the coming season, which is what they started doing last week by clearing debris, repairing fencing and building expanded wildflower boxes for pollinating bees. 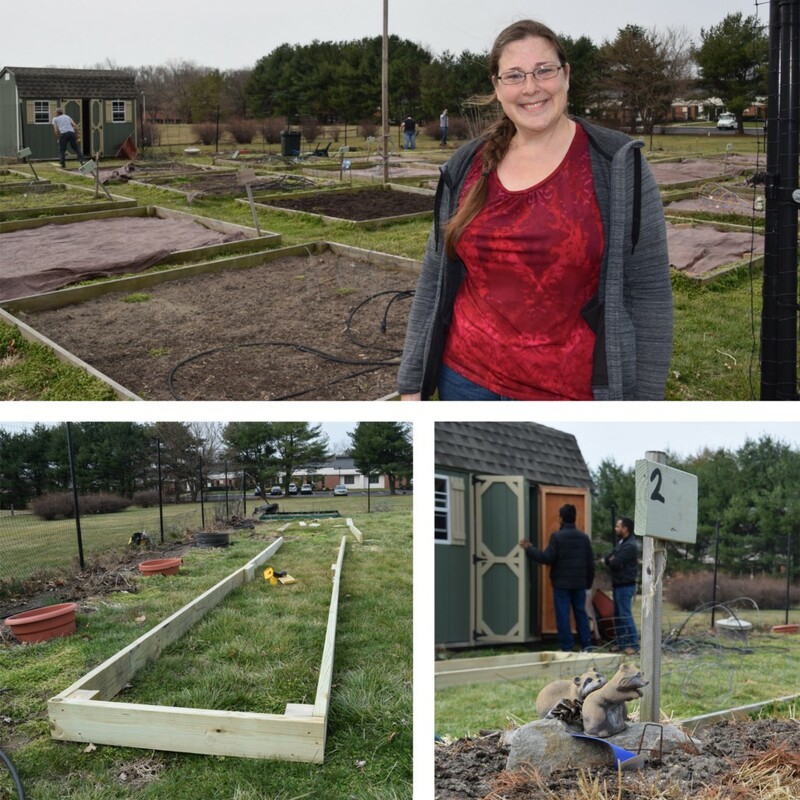 Clockwise from top: Tiana Rosen, of Cherry Hill, takes part in the Deep Roots Community Garden with her mom, Walli Rosen, and sister, Carol Hussey. From pinwheels to ceramic raccoon figurines, gardeners make their 10-foot by 10-foot plots their own. New to the garden this year are two large wildflower beds running the length of the back side, near where a honey bee hive is housed. Every plot has irrigation, and water is automatic for the beginning of the season. Cherry Hill resident Pete Burrows, who is another of the founders along with his wife Fiona, said the garden is a new adventure every year. Father-daughter duo Paul and Michelle Lombardi have tended plots at Deep Roots since it started. They agree meeting other gardeners is a bright spot of the experience. “You do 10 minutes of gardening and a half hour of talking,” Paul said. Michelle also called the experience “therapeutic.” It’s fruitful, too, the Voorhees resident said. It’s also a chance to expand the palate. In addition to the staples — tomato, zucchini and lettuce among them — each year the duo tries to plant something different to show Michelle’s kids how things grow. They’ve tried broccoli, pickling cucumbers and, last year, artichokes. “It’s a little bit of everything,” Michelle said. Voorhees residents Michelle Lombardi and Paul Lombardi smile near the gate to Deep Roots Community Garden. The father-daughter duo have tended plots at the garden since it opened in 2010. Cherry Hill resident Tiana Rosen has shared a plot at Deep Roots with her mom, Walli Rosen, and sister, Carol Hussey, for six years. 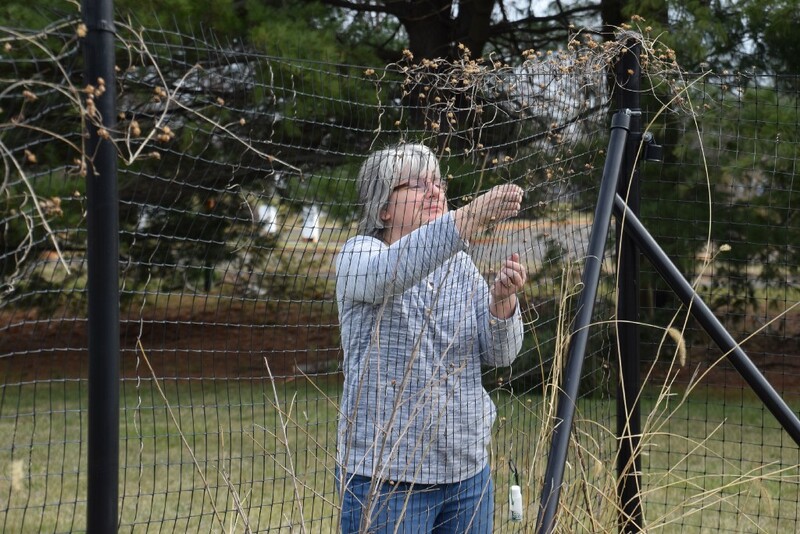 “What I like about this program is you meet strangers and they become friends and gardening advisors to you over the years,” Rosen said, mentioning what she has learned from her gardening mentor Terry Jones and resident beekeeper Corey Melissas. Inspired by Jones, Rosen and her family turned their plot into a square-foot garden last year, growing 10 varieties of heirloom tomatoes, peppers, pole and bush beans, zucchini, eggplants, currants, strawberries, lettuce, radishes, arugula, snap peas, basil and more. Fiona Burrows, of Cherry Hill, clears away dead flower heads along a fence at Deep Roots Community Garden. The gardening community leans on each other for advice — they have a Facebook group for members — and help one another by sharing watering duties and the like. A fire pit, barbecue, picnic tables, horseshoe area and other additions over the years foster Deep Roots’ sense of community. At the end of the season — which typically is in October — there is a communal potluck. “It’s anything we can do to encourage community,” Tom said. A shed on the premises is filled with hand tools, so gardeners — experts and novices alike — don’t need to bring much with them. Beth said Deep Roots Community Garden has become what she and Tom had hoped for from the beginning. To learn more or inquire about joining, email Tom and Beth at garden@cultivatenj.com or call Tom at (609) 417–7127.